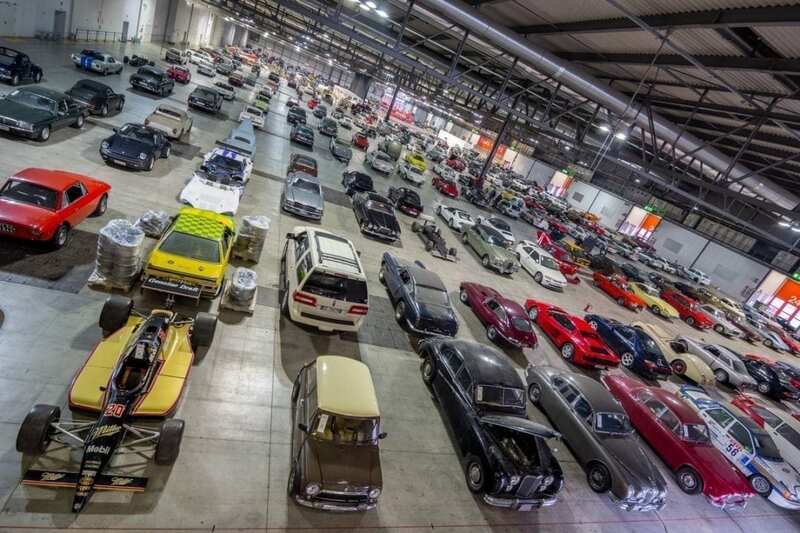 As reported here on 11 Nov, all the lots at RM Sotheby’s Duemila Ruote auction held at the Milan AutoClassica show on Nov 25-27 had become the property of the Italian government following their seizure from businessman Luigi Compiano. Consequently, there was very little in the way of paperwork or provenance to accompany any of the 420-odd cars for sale, and the term caveat emptor had rarely – if ever – been so pertinent. That said, over time Mr Compiano had assembled a quite extraordinary collection of highly desirable vehicles, many with enticing estimated values. Furthermore, everything was to be sold at no reserve, so it was no surprise that more than 5,000 packed into the Fiera exhibition hall, either to bid or simply to witness the spectacle. What did come as a surprise, at least initially, was just how voracious the bidding was, with many motorcycles and cars realising prices that didn’t just exceed their estimates, but completely trumped them. And this despite a good number being in serious need of TLC. With hindsight we shouldn’t be too surprised. With bidders coming from 57 different counties, almost 90% of them were auction rookies but were nonetheless keen to nab themselves a bargain. With so many people bidding, it only takes an apparently confident few to instil a feverish confidence in others. 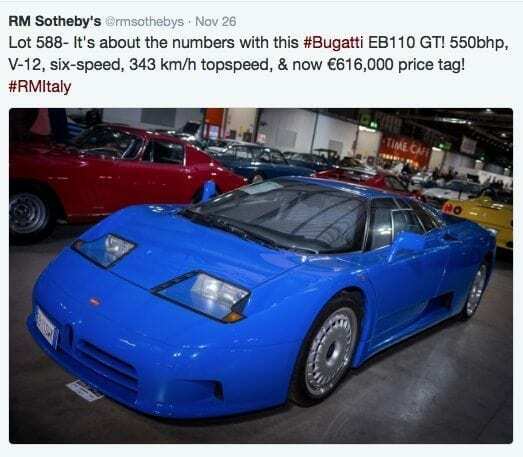 As a result the entire sale grossed €51.26 million, with the cars alone making €47,690,272 over the three days – their average value being €112,743 – with a whopping 91% selling above their upper estimate and just 3% under their low estimate. Whether these and the sale’s many other robust results represent a temporary upward blip or whether they’re a longer-term indicator remains to be seen. This no-reserve auction being something of a one-off, the blip seems more likely. In the end, hardly anyone went home with a bargain and there’ll now be more than the usual percentage of buyers feeling the pain of burnt fingers. However, there’s little doubt that, despite Brexit, Trump et al, the collectors’ supercar market remains in pretty rude health. If you’re considering bidding on a car at auction, please get in touch. We offer bespoke financing and assess each personally, so we can make a quick decision if you require a funding line to be made available to you ahead of auction. 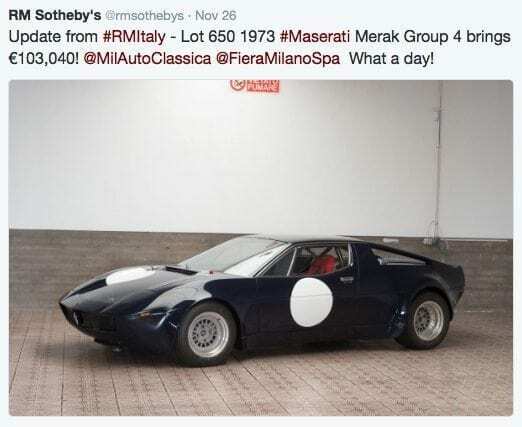 To see all the car results visit the RM Sotheby’s site here. As before, scroll down and keep on scrolling! scroll down, and keep on scrolling!